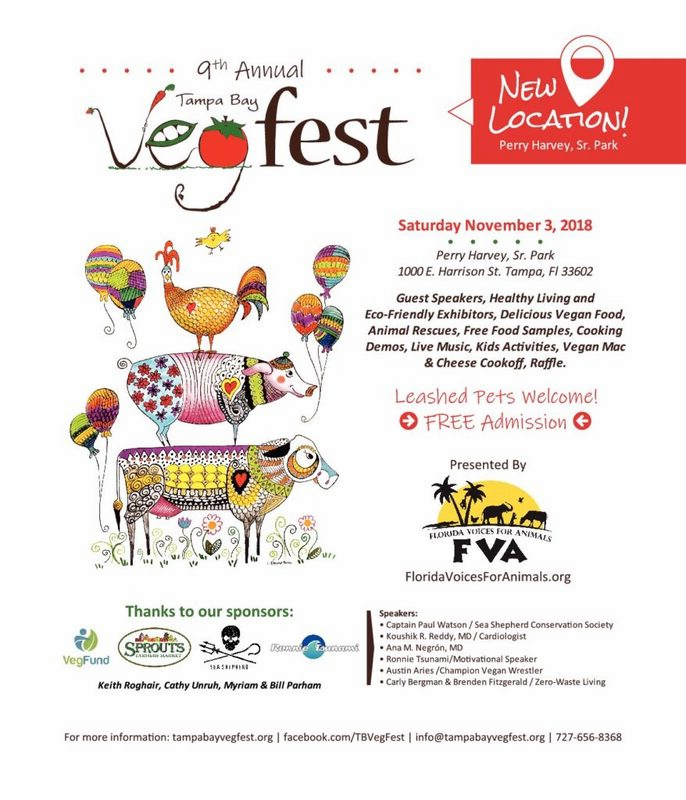 THANK YOU FOR HELPING TO PROMOTE VEG FEST! 1. Please RSVP on the Facebook page. Participants, including sponsors, vendors, speakers, chefs, and musicians, of the event are welcome to promote your participation there. And please invite people you know to RSVP! 3. Below are cover photos you can use on your business or personal Facebook pages. Right click to save the image and then upload it to your Facebook account. 4. Below is the basic Veg Fest logo. Please feel free to use them on your website, Facebook page, emails, etc. (right click on the images to copy or save). 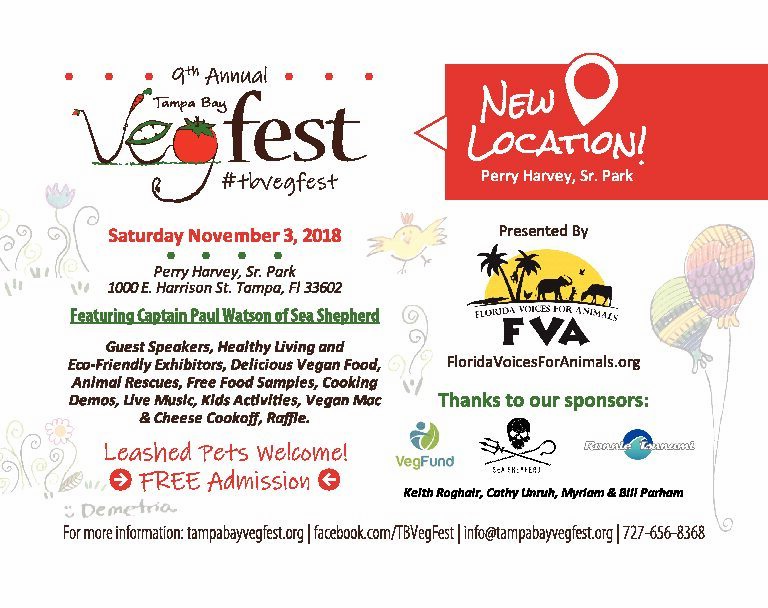 Please link the image to this website (www.tampabayvegfest.org). You may also use any information or images from this website to promote the event. 5. If you would like Veg Fest posters/flyers, please download them below by clicking the buttons. 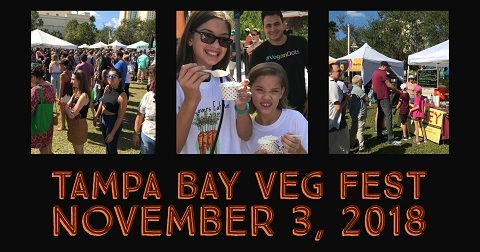 © 2019 Tampa Bay Veg Fest 2018.